With an aim to offer best quality products to the customers at affordable price, Ansio Marketplace Pvt. 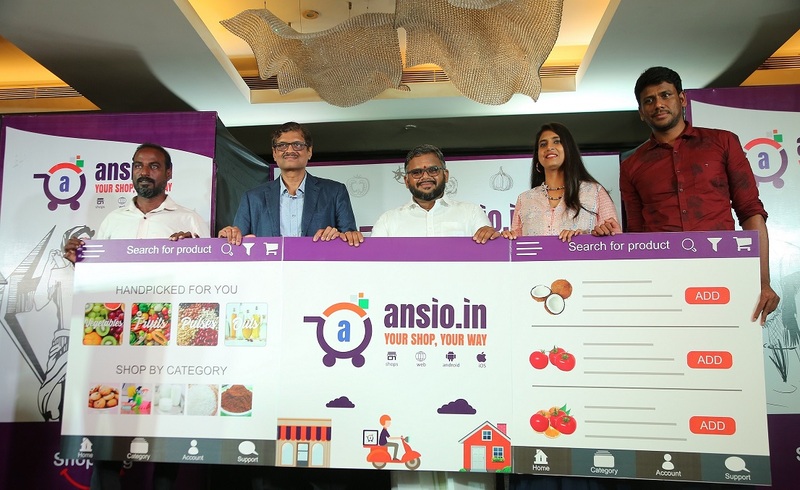 Ltd announced the launch of their Authentic Shopping App ansio.in. The app was launched by chief guest Mr. V. Shankar, Founder of Computer Age Management Services Pvt. Ltd, and guest of honour, renowned actress Ms.Kasthuri. Also present were Mr. R. Jaganathan, Founder, Nallakeerai, members of TiE Chennai, Angel Investor, farmers and members of the hub.